After a lifetime of hard work, you want to make sure you protect as much of your wealth as possible and pass it to those who you would like to receive it. Wealth, just like your health, must be carefully preserved, and the correct solution for you is the one that suits your personal circumstances. The subject of wealth preservation can be an emotional and complex matter. 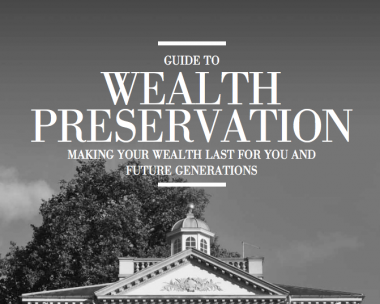 By making use of lifetime planning opportunities and tailor-making Wills and trusts to your particular circumstances, you can ensure that your valuable assets are retained for future generations in the most financially prudent and effective way.